This is an accurate replica of the Pattern 1895 52 Round Martini Enfield Bandoleer. These bandoleers were worn by both British and Colonial forces. 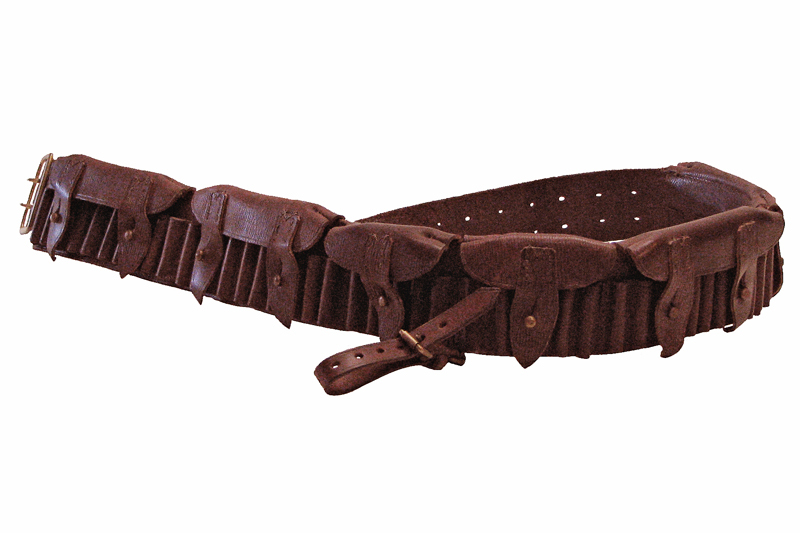 The bandoleer is made from high quality vegetable tanned leather and solid brass fittings. The ammunition pockets are embossed in the bag leather willow grain of the period. The brass fittings are copies of original period pieces. Please Note:These bandoleers are made to order only and take 4-6 weeks to deliver.